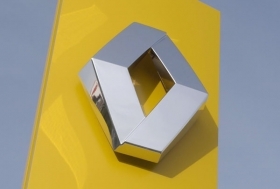 LJUBLJANA, Slovenia – Renault SA will drop shifts at its Novo Mesto plant in Slovenia following a lack of electronic parts that are produced in a tsunami-hit area of Japan. The move will mean 520 job cuts at the facility, which employs around 2,600 workers. The factory will stop building cars on its night shift from May 23, Renault said on Wednesday. The plant currently builds the Renault Twingo minicar and the Clio subcompact and in 2012 will begin production of a four-seater Smart model for Daimler AG, which will share the same platform as a new Twingo model. Both cars are scheduled for launch in 2013. In 2009, Renault built 212,680 cars in Novo Mesto.